3-D Monster: Wouldn't That Just Be a Kick in The Head?!? 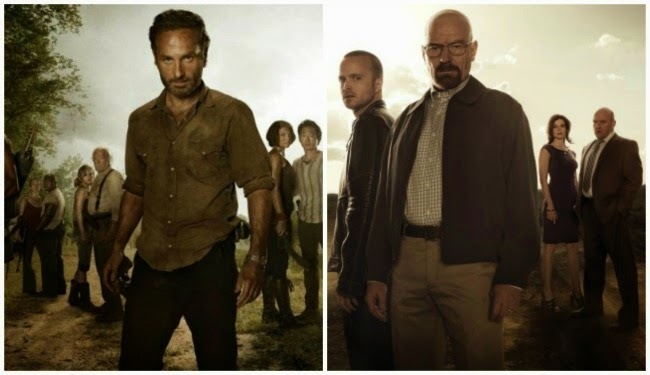 Lately, there has been a growing theory that AMC's mega-hit, Breaking Bad, might actually be a prequel to it's equally mammoth hit, The Walking Dead. Apparently, the theory is built upon Merle's pre-walker occupation as a drug dealer with possible ties to Jessee Pinkman. While I'm not necessarily sold on the theory, I do think it would be a genius move on the part of AMC, and keeping with the popular trend of merging popular franchises ala Marvel's The Avengers. For more details on the theory, click here. Okay, now I REALLY need to start watching Breaking Bad! JUST WATCH THE DAMN THING ALREADY!!! It's funny, but all of our favorite shows come on Sunday night; Game of Thrones, Mad Men, Cosmos, Believe, and Resurrection. We have to pick one and watch the others through the week and try to avoid spoilers!